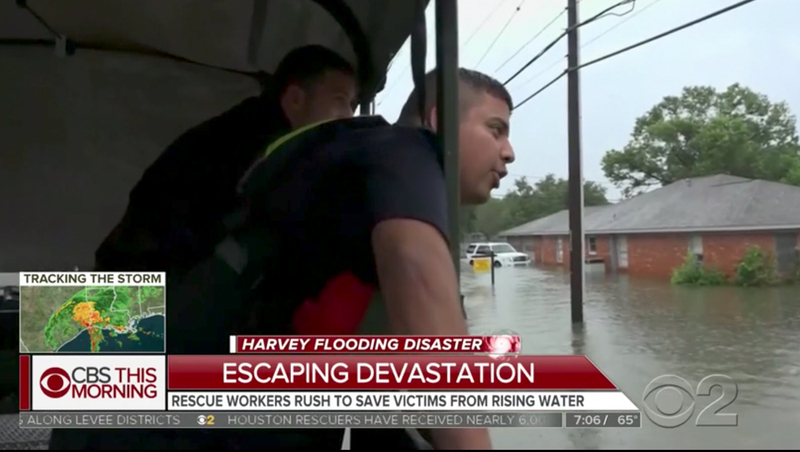 The networks’ morning news programs flooded the airwaves with dramatic and, at times, over the top coverage of the aftermath of Hurricane Harvey. 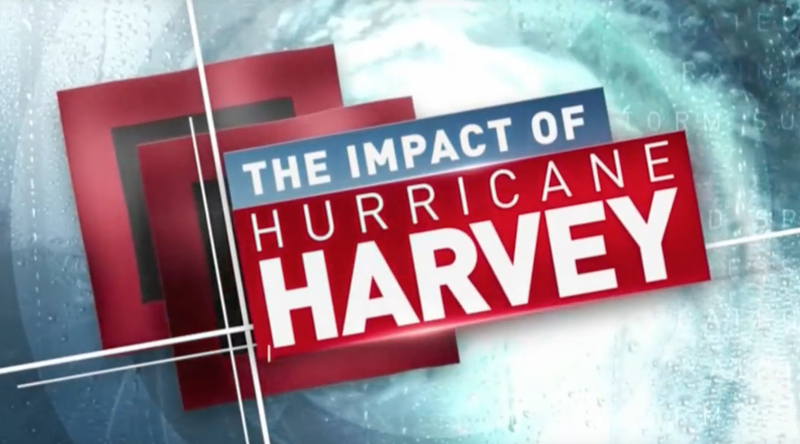 NBC News‘ “Today Show” used a special open for its Monday, Aug. 28, 2017 broadcast with an angled “The Impact of Hurricane Harvey” logo in the lower left while dramatic, fast paced music played under Savannah Guthrie. The show’s normal ring graphics were recolored blue and red for the coverage and had added wave, water and other hurricane themed imagery added. Match the pace of the “Today Show,” ABC News‘ “Good Morning America” also used a heavy hitting musical bed for its teases before an announcer opened the show with the network’s wordy “Disaster in Texas: Flood Catastrophe,” which also appeared on screen as a logotype. CBS’s “CBS This Morning,” on the other hand, stuck with its normal open and “Eye Opener” segment, but did using a red “Harvey Flooding Disaster” lower third and radar loop during its Harvey coverage.